This 4 pitch drum offers the attractive sound character of a major chord with a flat 7th. 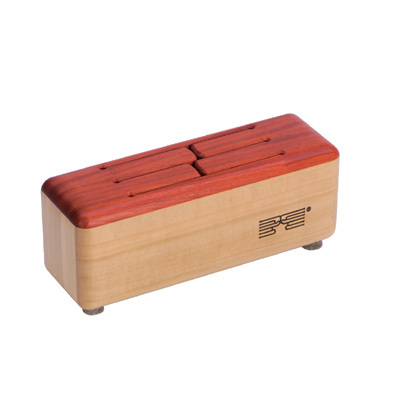 Recommended mallets sold seperately MA 103 (soft) or MA 102(hard). Schlagwerk Percussion’s philosophy includes the constant endeavour to perfect traditional sound-effect and rhythm instruments with professional sound and practical handling. The Log Drums are an especially significant part of the company’s history, as they represent the first instrument group manufactured by Schlagwerk. Even after 25 years, they are very convincing instruments because of their design and warm sound, which has given many people a beautiful introduction to music. Recommended mallets sold seperately MA 103 (soft) or MA 102(hard). Please see our Accessories section.